The Personal Inbox creates a way to send messages to a personal level. With so many communication tools available and different tools being used by teachers, schools, and districts, it’s easy to over-message parents to the point where they start tuning out key school communications. The Personal Inbox for Schools from ParentCom changes all of that. The Personal Inbox creates a way to send e-mails, create school notification and send push messages to a personal level. 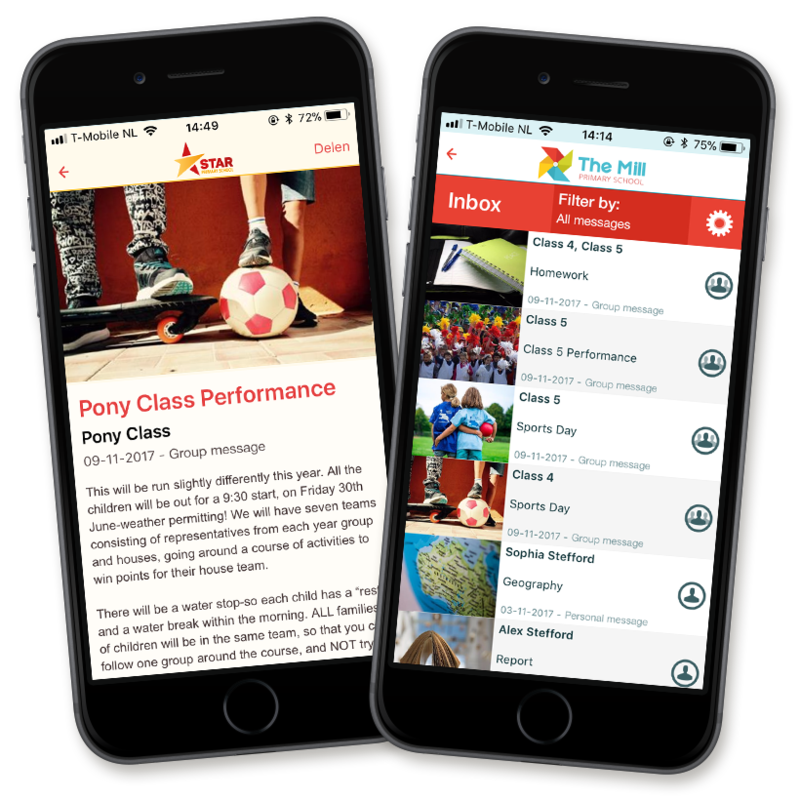 This provides parents with a single app for all your school communications and gives school leaders more visibility into school- and district-wide messaging. With one touch you can send an email, push message and create a message in the personal inbox. You can send parents personal messages via the Personal Inbox in the app, or you can send group messages that concern the entire class. Messages can also be sent out to specific parent groups, such as volunteer parents. Emails are now superfluous; all forms of communication can proceed via the app. Moreover, your school can better safeguard confidential information via the Personal Inbox.